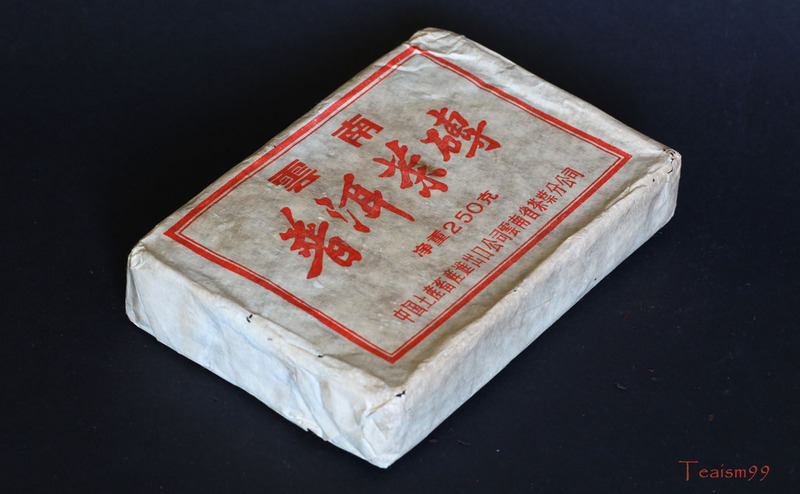 1970s CR Brick Sheng Puer tea. What is a great tea? The tea culture has volumes of literature and rhetoric praises on it. Auction houses capitalized on it. Tea association celebrate it, some even with chanting and lion dances. Books covered chapters and chapters on it. Most of this great teas are seen in books, magazines and auctions without any clue of its taste. With all these noises, are those tea really great? What is a great tea and how does it taste like? I have tasted a lot of tea from the mediocre to the greatest, ancient to iconic, new and old. Personally to me, a great tea is a tea that taste just like tea. Huh? Taste just like tea? Yes, simply just that. Purely tea, just like gold, pure gold without any other metal. A tea that simply taste just like tea without anything else. Especially for Puer tea, no additional funny taste or smell, no weird factory storage aroma, no croakcoach smell, no lion dance, no drum hammering, no chanting and no cancer curing prophecy. A great tea is a tea that is delightful to the eyes, smooth and mellow in taste, with gentle uplifting aroma, recurring sweetness and a mouthful body that embraced all the good palate. A tea that quietly embodies your sense of being, purify your mind and lift your spirit. A tea that is purely just tea; physically, mentally and spiritually. That is a great or perhaps the greatest tea. Just humbly that. Some of the great or greatest tea may sit quietly in your collection waiting for you to listen to it. Cut out all the noises and listen carefully. 1970s Cultural Revolution Brick Sheng Puer tea.Great tea.